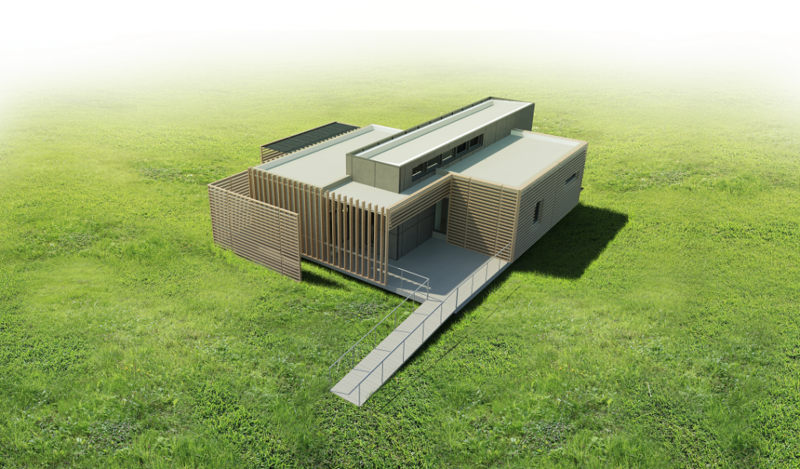 INhouse, the U.S. Department of Energy Solar Decathlon 2015 project from the California Polytechnic State University team, is designed to respond to the university’s spectacular surroundings in San Luis Obispo near the Pacific Ocean. “We focused on creating a coastal home that is true to that climate and the very unique indoor-outdoor living that we have here year-round,” says decathlete Lisa-Marie Mueller. As such, the architecture is open. A 15-ft glass wall in the living room folds back accordion-style to double the living space. The design also employs a variety of techniques to boost INhouse’s sustainability. For example, the team installed a gutter system that conveys rainwater to constructed wetlands to help native plants, and the house employs passive ventilation and natural lighting strategies. INhouse also boasts several high-tech attributes. The team is using a palm oil-based phase-change material in the ductwork to cut down on HVAC needs. As the material changes between liquid and solid, it stores or releases significant energy. Just 1 in.3 of palm oil material can hold as much energy as 1 ft3 of concrete. “It allows us to store a lot more energy in a lot smaller space,” says decathlete Alyssa Parr. At night, the team can pump cool air to chill the phase-change material, and then, during the day, it can reverse the flow, venting collected heat outside. In addition, the outdoor deck is covered by bifacial solar photovoltaic (PV) panels—with PV on the top and bottom. The array serves as an awning that provides shade but also lets about 25% of light through. The bottom PV collects reflected light bouncing up from the deck, thereby capturing up to 30% more energy than a single layer of PV. The 14 panels (each 6.43 ft by 3.25 ft) not only create a 4.9-kW renewable power system but also form a structure that looks attractive. “Solar panels don’t just have to be on roofs. They can be integrated into the design,” Parr says. A second array is part of the core of the house. The 100-member Cal Poly team, representing 12 majors, took its school’s motto of “learn by doing” seriously during the project. The name and story of the house developed over time. Mueller explains that the name INhouse describes the process the team has been going through—the design, engineering, and construction is really “in house” at Cal Poly. Also, three words—”interactive,” “intuitive,” and “integrated”—describe the technological-meets-natural features of the house. Mostly, it’s learning by doing—a process of iteration and trying many things before reaching a final conclusion. The group is looking forward to sharing its results with visitors. 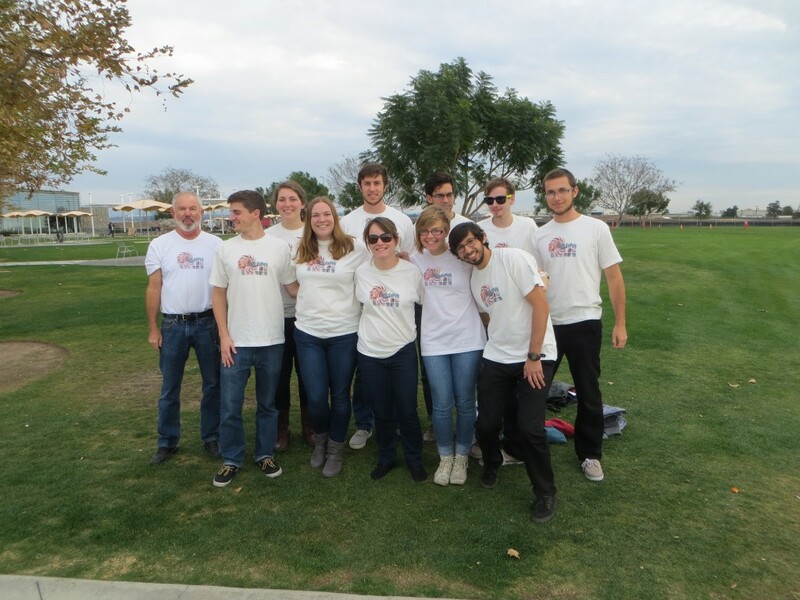 This entry was posted on Monday, June 8th, 2015 at 12:47 pm and is filed under Cal Poly, Solar Decathlon, Solar Decathlon 2015, Teams.